President Obama and congressional Democrats passed the mandate in 2010, without Republican support, in an effort to create a fair system that assures that all Americans — whether rich or poor, young or old — get the healthcare they need. One thing that proponents point out is that other economically advanced countries have succeeded at it. Congress determined that when the uninsured visit a clinic or the emergency room, the care they can’t afford costs roughly $75 billion a year. A large percentage of that cost ends up adding $1,000 a year to the average family’s insurance premium. The mandate is intended to ensure that new insurance market reforms in the law work as intended. Unless younger, healthier people — who often don’t purchase insurance until they get sick — are covered, the costs of those changes would be exorbitant. In response to opponents’ admonitions that a mandate to buy insurance could lead to other government-required purchases, the Obama administration argued that no such examples exist. “Respondents acknowledge that states do have the power to enact purchase mandates, but they identify no example of any state ever having compelled its citizens to buy cars, agricultural products, gym memberships or any other consumer product,” according to the Obama administration. Not surprisingly, 73 percent of Americans believe that the Supreme Court will be influenced by politics when it rules on the constitutionality of the ACA. The attitude crosses party lines and is particularly popular with independent voters, of whom 80 percent believe that the court will not base its ruling strictly on its legal merits, according to a Bloomberg National Poll. 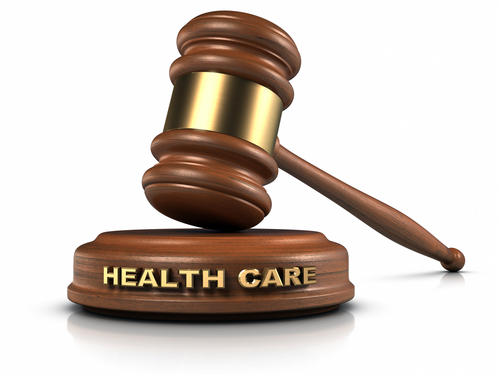 Seventy-four percent of Republicans and 67 percent of Democrats believe that politics will be a determining factor in the court’s healthcare decision. The closest comparable was 76 years ago, involving Roosevelt’s New Deal, a response to the Great Depression. It wasn’t a single piece of legislation and included the creation of Social Security. The court ruled against parts of the New Deal, while leaving others in place. The principal decision came when the court struck down much of the National Industrial Recovery Act, which allowed industries to create trade associations that set quotas and fixed prices. Those wishing to tune in and watch the excitement are destined to be disappointed. The Supreme Court will make available same-day audio of the oral arguments. In its announcement, the court said it is making the audio available because of the “extraordinary public interest” in the case. America’s senior citizens can breathe a sigh of relief. Even as the majority Republicans in the House of Representatives wield a surgeon’s scalpel to slash spending from the federal budget, they are unlikely to succeed at making significant changes to the extremely popular Medicare program. The Democratic-controlled Senate rejected serious cuts in the proposed legislation, which also included an attempt to block implementation of the Patient Protection and Affordable Care Act. Congressional Democrats and the Obama Administration pointed out that the Republican budget measure’s block on implementation funding would endanger short-term funding for Medicare. The legislation would create “significant disruptions in services” to Medicare recipients, Department of Health and Human Services (HHS) Secretary Kathleen Sebelius wrote to Senator Max Baucus (D-MT). 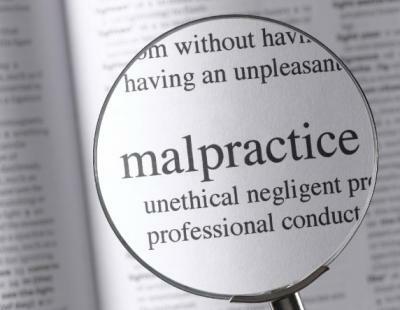 The payment delays, Sebelius wrote, would halt the need to undertake a lengthy process to issue new regulations governing Medicare Advantage payment rates since the Patient Protection and Affordable Care Act (ACA) put in place its own set of payment rate rules. The Congressional Budget Office’s (CBO) analysis questioned that claim because it believes that the Republican bill will reduce spending by $1.6 billion through the rest of 2011. Democrats maintain that the CBO’s review of Medicare spending is a separate issue from HHS’s lawful authority to fund the program. Despite the Senate Democrats’ united front, House Budget Committee Chairman Paul Ryan (R-WI) is “ready to take on health programs” as legislators on both sides of the aisle struggle with long-term spending concerns. Lawmakers continue talks regarding the current year spending measure still under consideration. A new continuing resolution that would fund government operations until April 8 has emerged. Though it includes deeper spending cuts, it is free of controversial riders such as language to restrict ACA implementation funds. Meanwhile, the CBO issued a report that legislation designed to further the defunding goal would add $5.7 billion to the deficit. Senate Republicans are trying to block the nomination of Harvard-educated pediatrician Dr. Donald Berwick to serve a full term as the administrator of the Centers for Medicare and Medicaid Services. Led by Senators Orrin Hatch (R-UT), the ranking member of the Senate Finance Committee, and Mike Enzi (R-WY), the ranking member of the Senate Health, Education, Labor and Pensions Committee, the senators contend that President Barack Obama’s recess appointment last year was completed before a hearing was held. The senators contend that this hindered the 111th Congress’ ability to fully consider Berwick’s nomination. “This abrupt and unilateral action meant that no senator — Democrat or Republican — was given the opportunity to ask Dr. Berwick a single question before he was placed in charge of an agency with a budget larger than the Department of Defense; which controls four percent of our nation’s gross domestic product; and, most importantly, directly impacts more than 100 million American lives every single day,” according to the Senators’ letter. The senators say that Berwick’s “past record of controversial statements, and general lack of experience managing an organization as large as complex as CMS should disqualify him” from the post. “Once you have withdrawn his nomination, we are confident we can all work together to find a nominee for administrator we can support and confirm after appropriate hearings are held,” the letter stated. Even some Congressional Democrats are urging the Obama administration to find another Medicare chief after concluding that the Senate is unlikely to confirm Dr. Berwick. The most-favored nominee is Dr. Berwick’s principal deputy, Marilyn B. Tavenner, a nurse and former Virginia secretary of health and human resources who has extensive management experience and would likely be confirmed. President Obama bypassed Congress and named Dr. Berwick to his post while the Senate was in recess last summer. The current appointment allows him to serve to the end of 2011. Despite the vocal opposition to Dr. Berwick, President Obama is refusing to withdraw his nomination. “The president nominated Don Berwick because he’s far and away the best person for the job, and he’s already doing stellar work at CMS: saving taxpayer dollars by cracking down on fraud, and implementing delivery system reforms that will save billions in excess costs and save millions of lives,” White House spokesman Reid Cherlin said. Unfortunately for the president, even some Senate Democrats believe that Berwick cannot be confirmed. Senate Finance Committee Chairman Max Baucus (D-MT) has said that he would not commit to a confirmation hearing, and other Democrats have acknowledged that the nomination is in trouble. “I think it would be very tough in this environment. If we can get some bipartisan products moving forward, then the answer is yes. If you can’t get some bipartisan products moving forward, it’s going to be difficult,” said Senator Ben Cardin, (D-MD). 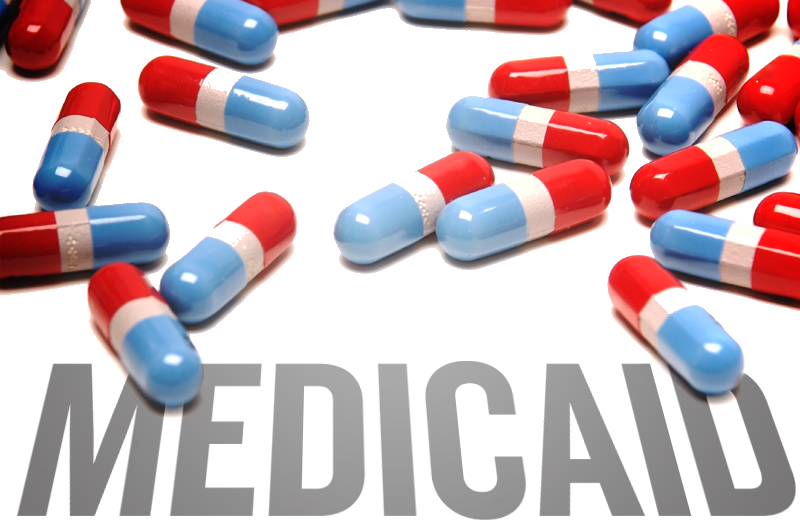 The Medicare administrator’s job involved significant responsibilities under the healthcare law, such as establishing new insurance markets, expanding Medicaid, and overhauling the way Medicare pays providers to reward quality instead of volume. Republicans need 41 votes to block Berwick’s confirmation in the full Senate; their letter indicates they have more than enough. The loss of Berwick, a respected medical innovator and patient advocate, would be a blow to the administration as it moves ahead in its implementation of the healthcare reform law. Five Republican senators did not sign Hatch’s letter. They are Scott Brown (R-MA), Susan Collins (R-ME), Olympia Snowe (R-ME), Lisa Murkowski (R-AK), and Rob Portman (R-OH). 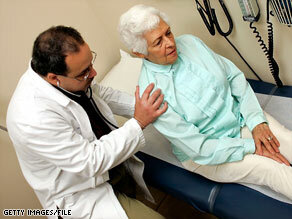 Nearly 50 Percent of Americans Think the Healthcare Law Has Been Repealed – They’re Wrong! Defying the odds – and facing President Barack Obama’s veto pen – the Republican-controlled House of Representatives voted to repeal the Patient Protection and Affordable Care Act (ACA); a move that was DOA in the Senate. The Republican-sponsored repeal bill, curiously named the “Repealing the Job-Killing Health Care Law Act,” passed 245 – 189 with assistance from three Democrats. Majority Leader Harry Reid (D-NV) has refused to bring repeal to the Senate floor for a vote. President Obama has vowed to veto any repeal effort. Republicans have not introduced an alternative bill, although Speaker of the House John Boehner (R-OH) said Republicans will ask congressional committees to make “common-sense reforms” to expand coverage and cut costs, but told reporters no “artificial deadlines” were needed. According to a USA TODAY/Gallup Poll, 32 percent of Americans would like to see the law repealed; 13 percent want to see the bill left as it stands. The poll found that 29 percent of Americans want to see minor changes and that 24 percent want major changes. Representative Ben Chandler, (D-KY), who voted against the law last year, said he voted against repeal because he thinks the law’s “bad” parts should be repealed piece by piece. “I will not vote to repeal parts of the law that protect central Kentuckians by preventing insurance companies from dropping people if they get sick, ending lifetime caps on coverage and eliminating pre-existing condition exclusions,” Chandler said. The Republican House of Representatives’ attempt to repeal the Patient Protection and Affordable Care Act was DOA — as expected — in the Democratic-controlled Senate. Voting along strict party lines, all 50 Democratic Senators who were present and one Independent gave the repeal a thumbs down. All 47 Republican Senators voted in favor of repeal. Two Senators – one a Democrat and the other an Independent – were not present to vote. The Republicans can claim a small victory as the Senate voted to repeal the 1099 requirement that was a highly unpopular inclusion in the healthcare reform law. Many perceived this as a tax on healthcare consumers and small businesses because it required anyone performing a transaction equaling $600 or more to file a 1099 form with the IRS. The cost of the requirement had the potential to add up to 40 percent for some small businesses, which could have resulted in closures or layoffs. The amendment passed the Senate by an 81 – 19 vote and has President Barack Obama’s support. Opponents of the amendment, such as Senator Carl Levin (D-MI), said that Congress, not the White House, should wield the budget-cutting ax. Additionally, Virginia Attorney General Ken Cuccinelli has asked the Supreme Court to fast track his state’s challenge to the healthcare law, saying he thinks the legal dispute has become so important that the nation’s highest court should take it up immediately. “We want to eliminate the uncertainty in both our governmental budgets and in the private sector,” he said. “We want to eliminate at least the uncertainty associated with health care.” The Obama administration opposed the move, saying the case should follow the regular process. This would put off until 2012 a Supreme Court ruling on the law that aims to provide more than 30 million uninsured Americans with medical coverage and cracks down on unpopular insurance industry practices. With Democrats in control of the Senate and Republicans in control of the House of Representatives, a battle royal is shaping up on Capitol Hill over the Patient Protection and Affordable Care Act – aka the healthcare reform law. The house has already passed a bill that symbolically repeals the law, and each chamber is holding hearings – the Senate Democrats to sing the praises of healthcare reform and the House Republicans to point out what is wrong with it. Named “Repealing The Job-Killing Health Care Law Act”, the legislation passed the House and is expected to be dead on arrival in the Senate. “The ‘job killing’ charge is ‘demonstrably ridiculous’: The GOP’s ‘farcical’ claim that healthcare reform will cause job losses is ‘transparently false,’” according to Steve Benen, writing in a Washington Monthly article. President Barack Obama suggested in his State of the Union speech that he is open to fixing some parts of the Affordable Care Act. “President Obama outlined a vision for our nation’s future that includes key American Medical Association priorities, such as lowering healthcare costs through medical liability reform, improvements to the new health reform law and investments in biomedical research,” said AMA president Dr. Cecil Wilson. Additionally, Wilson is pleased that the president acknowledged that certain improvements should be made, such as eliminating the 1099 filing requirement that requires businesses to file a form with the Internal Revenue Service for every vendor with which they have had at least $600 in transactions. The president stressed that he will not turn back the clock completely. “What I’m not willing to do…is go back to the days when insurance companies could deny someone coverage because of a preexisting condition,” he said. One group that is applauding the symbolic repeal of the healthcare law is the U.S. Chamber of Commerce, and has pledged to fight government regulations that it believes will challenge American competitiveness. If the Republicans who now control the House of Representatives succeed in repealing the Affordable Care Act – and it’s likely that the Senate will quickly squelch that effort — their action has the potential to increase the federal deficit by $230 billion, according to the non-partisan Congressional Budget Office (CBO). The CBO’s analysis says that repeal of President Barack Obama’s signature legislative victory also will leave 32 million Americans without healthcare coverage. While some health insurance premiums would be less costly, the CBO analysts estimates that if the law is repealed, consumers will have less coverage and will end up paying more if they lose the subsidies that the new law mandates.